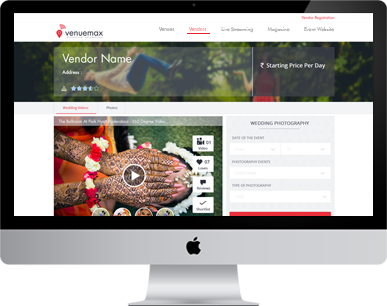 Venuemax is your partner in success! Sign up today and start using our tools to promote your business and book more weddings. Customize your profile anyway, anywhere, anytime! Facebook, Twitter, Pinterest - it's all here! Drive additional traffic directly to your website. Highlight all of your VenueMax.in blog mentions. Showcase your services with photos highlighting your best work. Easily incorporate YouTube or Vimeo clips directly into your profile. Build trust by gathering online reviews from previous Clients. 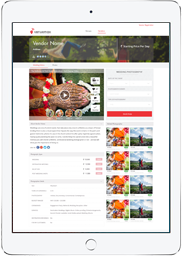 The easiest way to provide booking incentives and display your services. 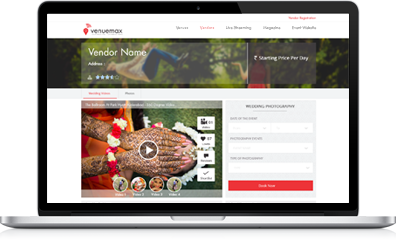 No one knows the Indian market better than VenueMax! Our experts are here to help. Let's do it - We can have you up and running by tomorrow!